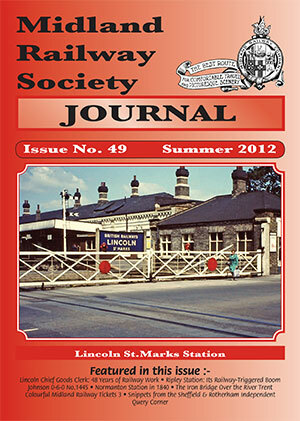 Front Cover: The cover photograph reflects on a fact of Lincoln life that has bedevilled its citizens for more than 150 years. 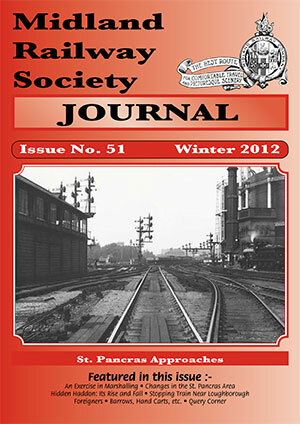 Our article on the life of Mr. William Nicholson, one time Chief Goods Clerk for the Midland Railway at Lincoln, reveals the complexity of the problem. 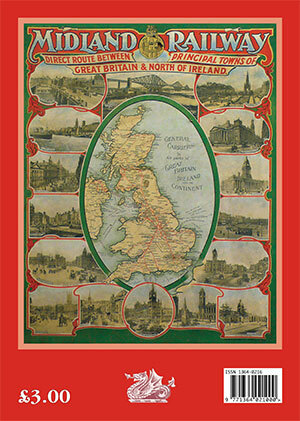 Back Cover: Your Editor photographed this large Midland Railway poster in September 2010 whilst it was hanging, in its frame, in the restricted section of the Midland Railway Study Centre. 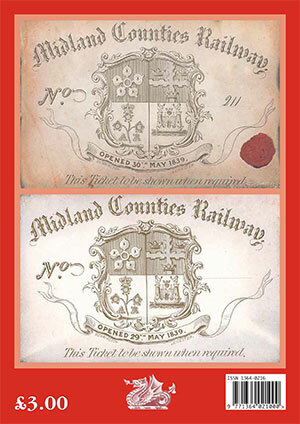 It shows a typical MR map of the system around which there are pictures of notable places in the cities that the Midland served. Most of these are places to which tourists would naturally gravitate, like the Houses of Parliament in London and the waterfront at Liverpool. 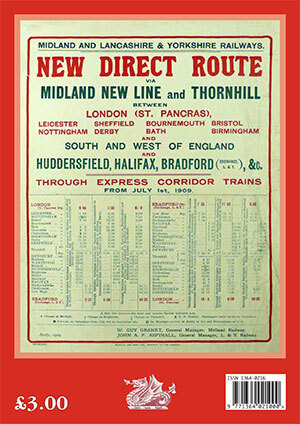 However, the designer of this poster chose the new station at Leicester to denote that town, it then being the only one identified by the Midland’s own building. That suggests that the date was soon after the new station came into service, a little after 1895. 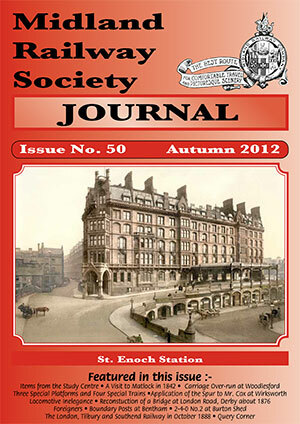 One vignette, the only one not of a town, shows the Forth bridge, of which the Midland provided one quarter of the finances and had a quarter share. It was opened in 1890.